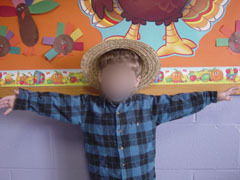 Begin by making a scarecrow mask out of a paper plate. and straw hats for him/her to wear with the masks. Above... straw hat and flannel shirt. 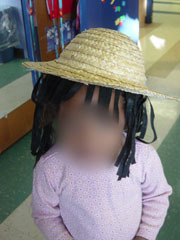 Below... straw hat and felt wig.